Quilt guild members Erica Skouby and Janice Almquist show a quilt belonging to Maxine Morris at a bed turning during the quilt show Friday. Morris' quilt was made for her mother in 1971 by staff at the Nevada State Hospital. 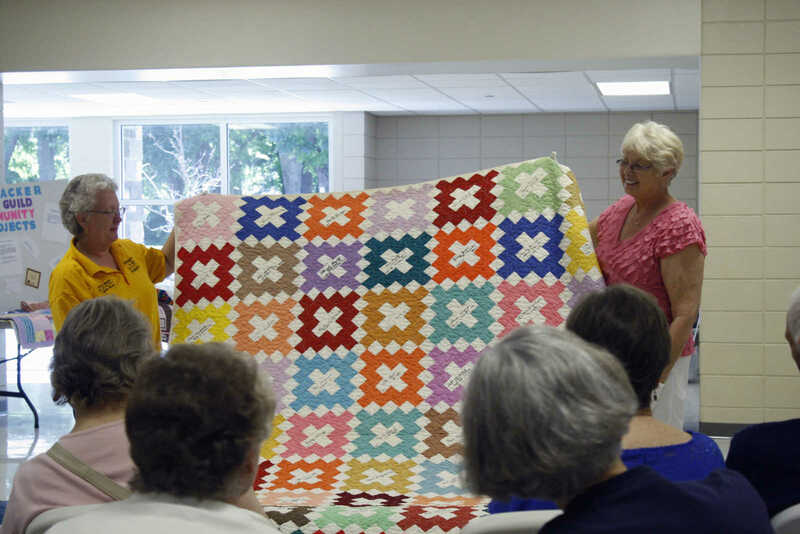 More than 130 quilted pieces, including bed quilts, lap quilts, windown hangers and table accessories, were up for show Friday at the community center. 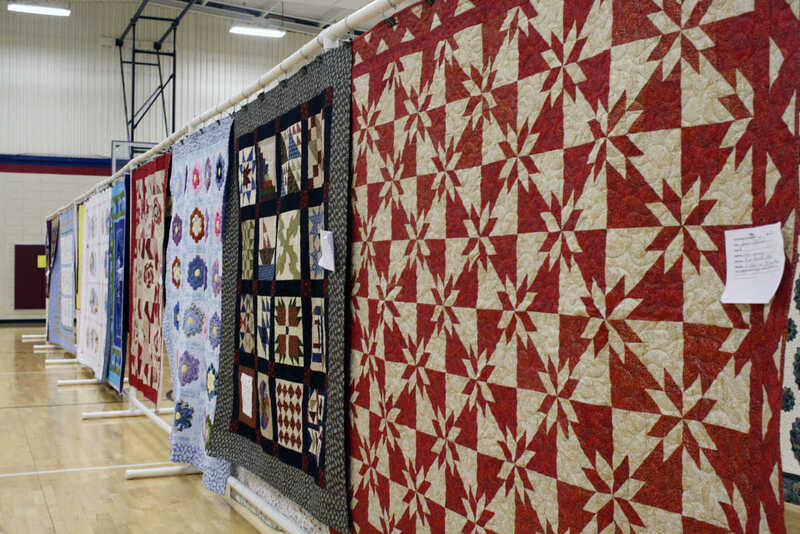 The Bushwhacker Quilt Guild hosted the show, which runs through Saturday. Erica Skouby and Janice Almquist show a quilt made with cheater cloth, a fabric printed to look like a quilt. 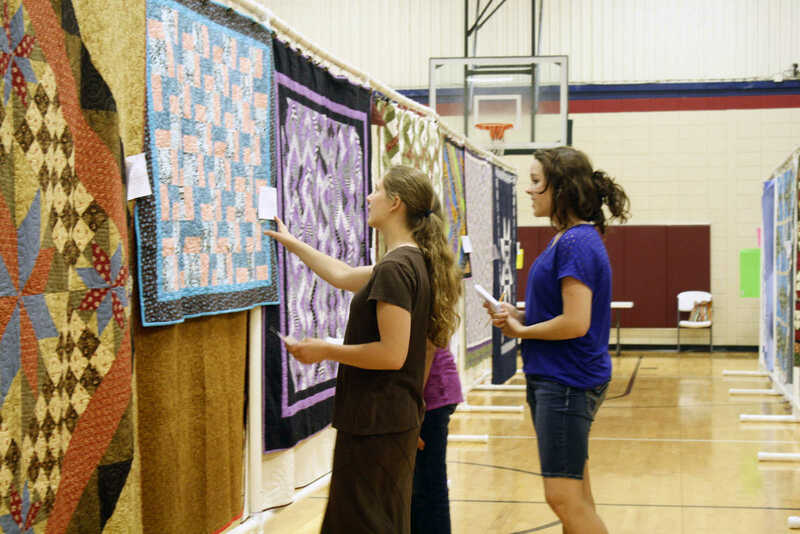 The pair showed quilt show attendees a variety of quilts during a bed turning, where quilts along with their stories are displayed. 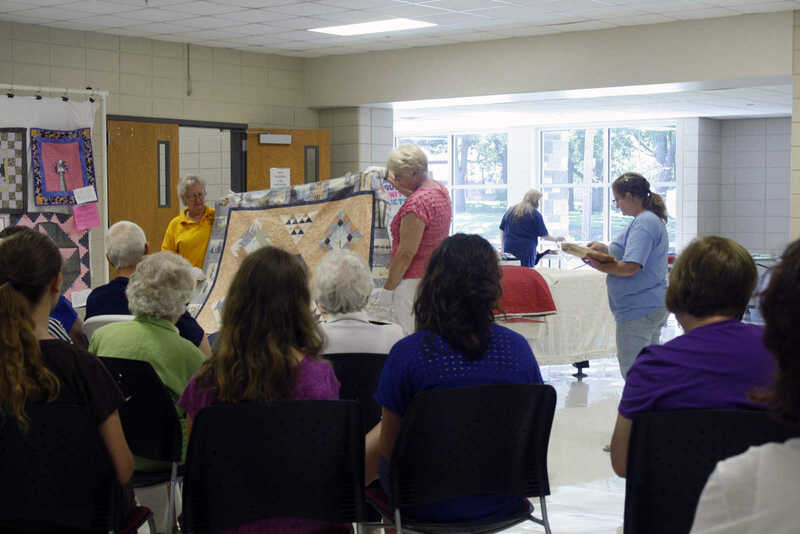 Quilt enthusiasts look on as Erica Skouby and Janice Almquist show a quilt during the bed turning. As the two showed nearly 20 quilted pieces, Becky Bruce read off each item's history. "Missouri Star," a quilt belonging to Cindy Tucker, was on display at the Bushwhacker Quilt Guild Show. 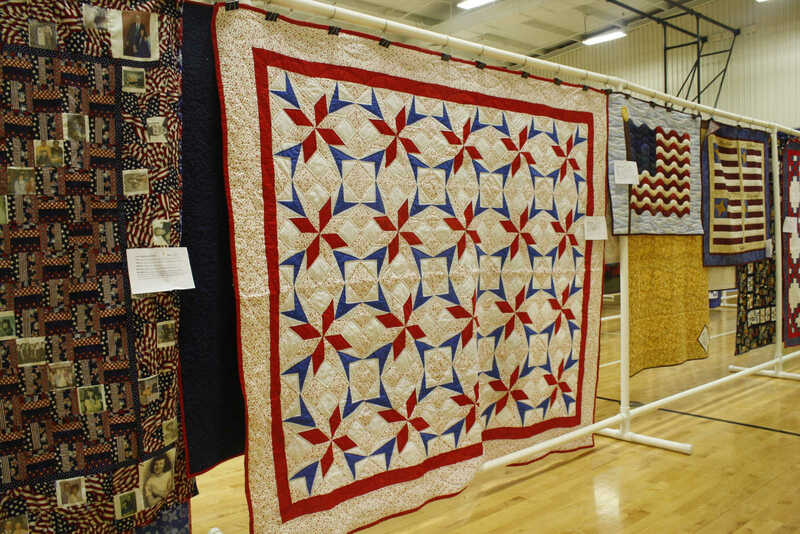 While all quilts were welcome for display, patriotic and Christmas quilts were the featured themes for this year. 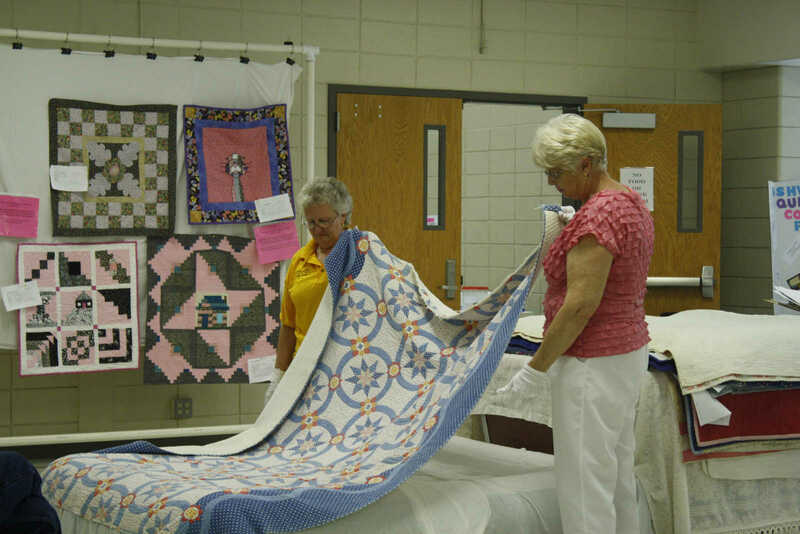 Meredith Simmons and Dana Guss look at quilts during the quilt show. Simmons said she liked attending the show each year because she enjoyes sewing and quilting.